Do you feel low? Do you have regular ups and downs? Does your mind feel sharp? Is your mental clarity consistent? If not, you may well turn to ‘feel-good’ substances, but how does what you eat really affect your mood and mind? Obviously they do to some degree, or they wouldn’t be so popular. They may boost energy, relieve anxiety or help us recover from a hard day’s work, but the highs we feel afterwards often evaporate all too quickly, leaving us with a nasty aftermath and in a cycle of dependency. Mood swings, anxiety, exhaustion and even addiction can result from all that popping, pouring and puffing – a roller coaster of ‘highs and lows’. Meanwhile, psychotherapy is becoming increasingly popular. More people are now seeking professional help, and more and more frequently with at least 10 million visits a year. Other avenues like life-changing courses, self help books, hypnotherapy, NLP (neuro linguistic programming), yoga and meditation are also on the rise as we look to change our states of mind. All of these can help, but they are just one part of the puzzle. Any intelligent person can recognise that our diets and environment have changed radically in the last 100 years. When you consider that the body and brain are entirely made from molecules derived from food, air and water and that simple molecules like alcohol can fundamentally affect the brain, isn’t it unlikely that changes in diet and the environment have had no effect on our mental health? Antidepressant drugs like Prozac (SSRIs) work by preventing the body breaking down a feel good brain chemical called serotonin, therefore keeping more circulating in the brain, which improves your mood. The trouble is that these kinds of drugs induce unpleasant side effects in about a quarter of those who take them and severe reactions in a minority. Serotonin works to regulate mood and sleep cycles and we need to look for ways to to do this naturally. The natural alternative to SSRI drugs is to eat your way to happiness by choosing foods that contain tryptophan, the part of protein from which the body makes serotonin. A study by Dr Philip Cowen from Oxford University’s psychiatry department investigated what would happen if you deprived people of tryptophan. He gave 15 volunteers who had a history of depression, but were currently fine, a nutritionally balanced drink that excluded tryptophan. Within seven hours, 10 out of 15 noticed a worsening of their mood and started to show signs of depression. On being given the same drink but this time with tryptophan added, their mood improved. * Following a low GL diet to balance your blood sugar. * Avoid any form of refined sugar – in biscuits, cakes, confectionery, other sugary snacks and also foods with added sugar in the forms of syrups, dextrose and maltose. * Reduce your intake of stimulants – alcohol, cigarettes and caffeine containing tea, coffee, chocolate and colas. 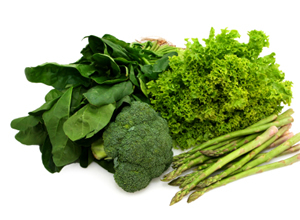 * Increase nutrient-rich foods – fruit, vegetables, herbs, whole foods, nuts and seeds. * Eat more sources of tryptophan – it’s especially rich in fish, turkey, chicken, cheese, beans, tofu, oats and eggs. * Eat omega-3 rich oily fish – salmon, mackerel, herring, sardines or trout, two to three times a week. * Eat raw, unsalted seeds and nuts. The best seeds are flax (or linseed), hemp, pumpkin, sunflower and sesame. You get more goodness out of them by grinding them first and sprinkling on cereal, soups and salads. *Use cold-pressed seed oils and choose an oil blend containing flaxseed oil or hemp oil for salad dressings and cold uses, such as drizzling on vegetables instead of butter. Don’t cook with these oils as their fats are easily damaged by heat. * Minimise your intake of fried food, processed food and saturated fat from meat and dairy to prevent damage to brain fats. * I also recommend taking brain friendly supplements containing essential fats, phospholipids, vitamins and minerals. Further details can be found in the book Optimum Nutrition for the Mind from Patrick Holford’s website. We know that women at menopause can be more vulnerable to low moods. Declining hormone levels, changes in the body with hot flushes, poor sleep and increased weight can all make you lose confidence and feel more anxious. Women are more often being prescribed antidepressants at menopause, rather than HRT, but bioidentical hormones will help you address these symptoms naturally.